Life is busy! As parents there never seems to be a free moment. At least I know that’s the way I feel most of the time. My schedule is pretty full. I have 4 small children 5 yrs old and under. My schedule in a nut shell is I work Monday and Friday all day, not getting home until 6:30 -7:30. We own a karate school so on Tuesday and Thursday we leave the house around 3 and return after 9. That leaves Wednesday and mornings of Tuesday and Thursday and Sunday for our businesses. Things like marketing, maintaining the website (thankfully my husband does most of the website maintenance) making the products that are ordered and shipping them out, keeping up on the Facebook pages and groups. While on paper that may sound like a lot of time, it goes quickly! Add in the general housework, kids and meals….. The other day I was getting ready to do something, at this point I don’t even remember what it was, but I was in a hurry to get things done. My oldest son came up to me and started talking, Mommy can you…. Before he finished I had already answered him in my head…not right now buddy Mommy is busy. Then he finished his question: Mommy can you put these (holding up his Tzitziot) on me I want to tell יהוה that I love Him. My heart melted! How could I not stop what I was doing and help him! I was so happy and proud that my 3 yr. old was saying that. It was such a simple statement, yet it was also so very profound! Was יהוה trying to tell me to slow down and pay attention to my family? Am I too caught up in everything else that I am missing important moments with my family? Probably! So I am going to try to set aside some time for us to just be a family and not worry about what I need to do next. Is this something you need to work on too? 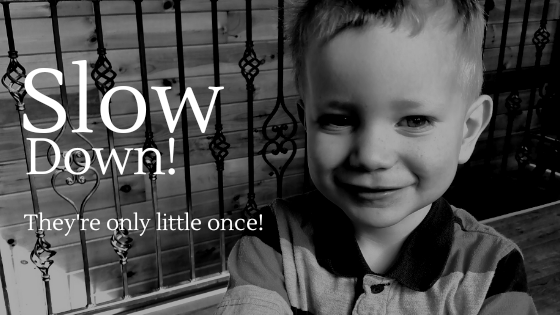 I have heard it so many times and have even said it myself – They are only little once! After seeing how fast my oldest has gone from a baby to 13, I know I should take it to heart more. We only get one shot at raising them, instilling the values that we want them to have, and become adults who love their families, and have a passion for Yah! How do you balance work/life and family? Please consider donating to Cannon Keepsakes. Donations help us to continue to provide our products for as low of a price as possible. And to provide for those who cannot afford.